Foreclosures were 26% of the Homes sold in Stroudsburg PA for November. The Average Sold Price in Monroe County for November was $136k. ↑The Number of Homes sold in Stroudsburg PA for November was 23, UP43.8% from November 2013 and down from 24 for October. The Number of Pending Homes in the Stroudsburg Real Estate Market YTD is UP 5%. The Number of Homes sold year to date in Stroudsburg PA is 238, UP 15% from the 207 sold for 2013. The Average Sold Price year to date in Stroudsburg PA is $170k, DOWN 1.8% from $174k for 2013. The Absorption Rate is around 8.5 months. Stroudsburg PA Real Estate Market Report - November 2014. Hi Bobbie, well done Stroudsburg PA Real Estate Market report. Your expertise truly shines and brands Bobbie Smith as the Stroudsburg PA go to person for buyers and sellers. 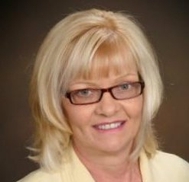 Good morning Bobbie Smith , thanks for the Stroudsburg PA real estate market update. Hi Noah, Thanks so much. I sure hope Consumers put the information to good use. Hi Hannah, Nice to see you. How's the market in the Philly area? Hope it is great! I like the addition of your easy to read Infographic to your market report. I'm surprised 26% of the sold properties in November in your market were foreclosures! Hopefully that will go down in 2015! Bobbie, you share the latest and greatest news in Stroudsburg real estate for all interested buyers and sellers. You are the Pocono agent to call! Very nice infographic Bobbie Smith and consumers are going to really like seeing it presented this way.